Without actually going there, it’s hard to get any kind of proper perspective on a cave that boasts a single chamber 5km long, 200m high and 150m wide. 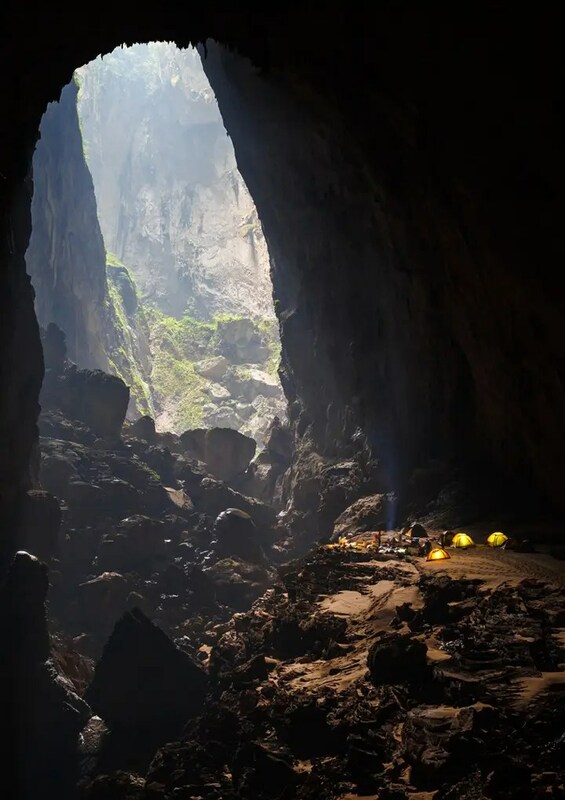 But here’s some stunning pics and footage which is the result of a combination of a couple of modern miracles – drone camera tech and the discovery of the massive cave Hang Son Doong in Vietnam, which only came to the world’s attention in 2009. 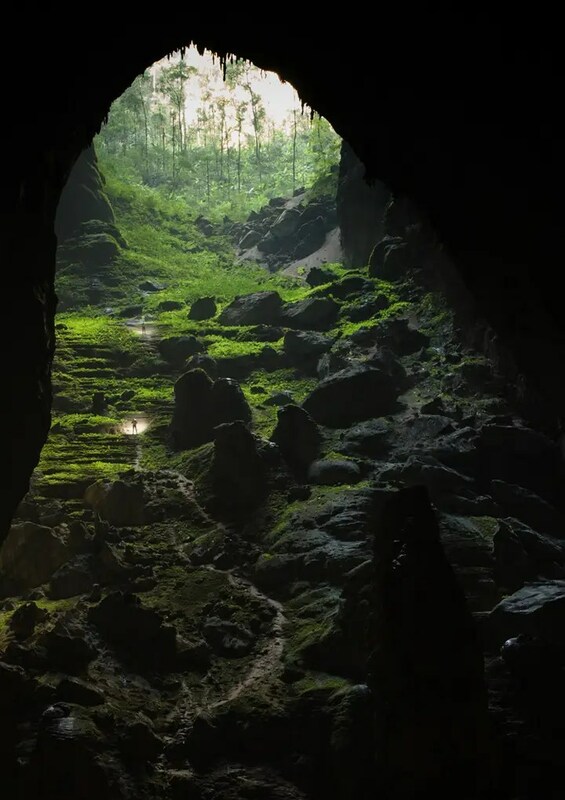 Photographer Ryan Deboodt has been posting some incredible images of caves he’s explored for a bit over a year now on Instagram and Facebook. 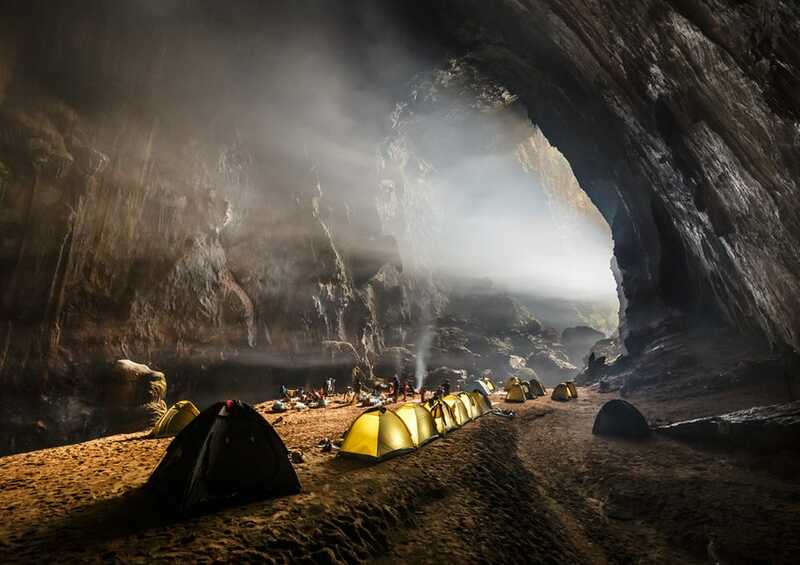 His first shoot in Hang Son Doong was in December, 2013, but at the end of January this year, he added a quadcopter and a GoPro Hero to his armory. 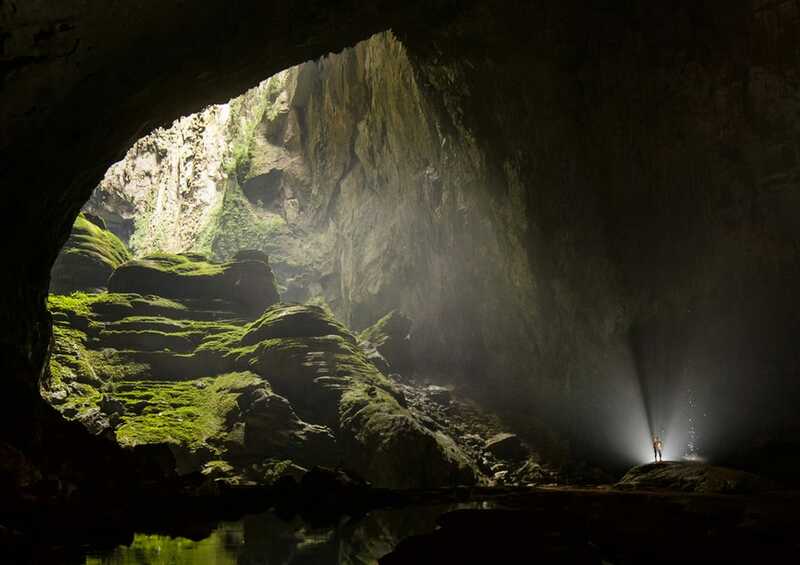 He kindly let us run a few stills and the footage, starting with the entrance to Hang Son Doong, located in jungle near the Laos-Vietnam border. 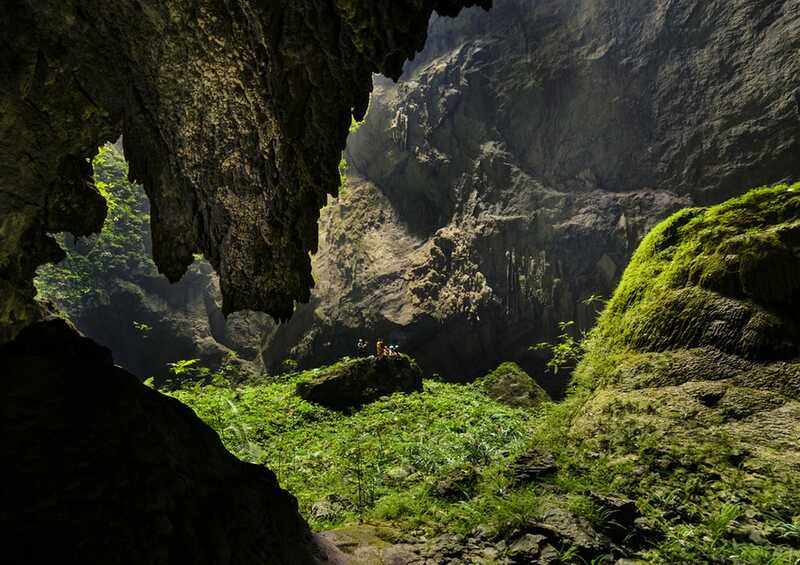 It was thought to have been first discovered by local man Hồ-Khanh in 1991. It’s an 80m rappel just to get in, for starters. There’s entire new species of plants, monkeys, birds and flying foxes in here. Deboodt was using a Canon 6D with a Canon 16-35mm f/4 lens, a DJI Phantom 2 drone and a GoPro Hero 4 Black. “The original goal of the trip was to collect three timelapse cameras that I had left in the caves for the past six months to document the flooding (which unfortunately didn’t happen this year, will try again next year),” he says. He succeeded. Here’s the full drone footage he took near the entrance and the first and second skylights which are 2.5km and 3.5km inside the cave. You can see more of Deboodt’s images and other work on his website, Facebook, and Instagram pages.